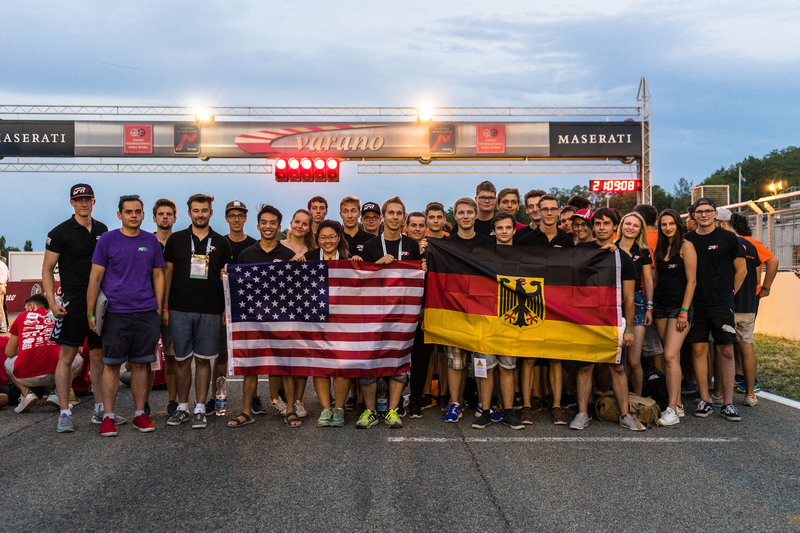 The team visited Varano de’ Melegari from July 19th to 23rd to participate in FSAE Italy with this season’s electric car, the GFR17e. After seven years we finally returned, after the cCar competed here back in 2010, and took first place. The technical inspections flew by fast. The team passed scrutineering without issues and used the extra time to test on the practice track in preparation for the dynamic events. The static events: Cost, Business Presentation, and Design went well. We finished ninth in the Cost event and fourth with the Business Plan. On Friday night, we found out that we made it to Design finals. This was a great moment for the team since we never made it to Design finals with the eCar before. After giving our best effort in the finals, we woke up the next morning to second place! 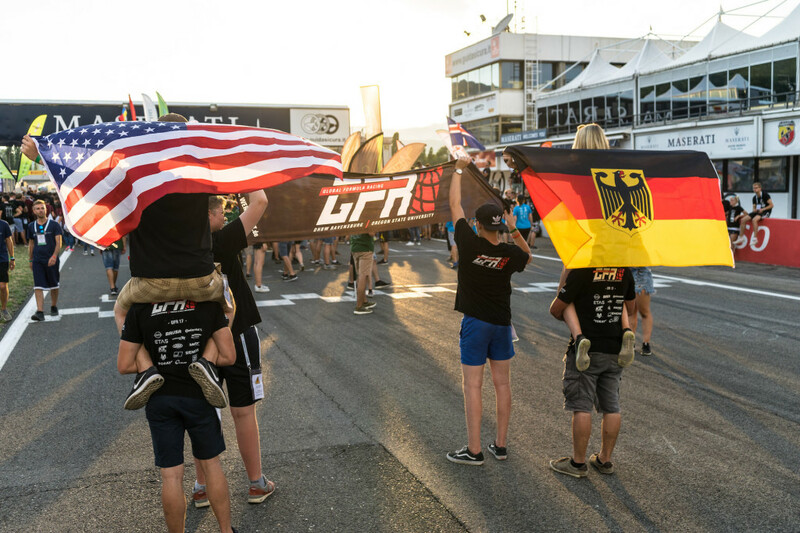 Saturday came and we were thrilled to see a 3.68 sec time on the Acceleration leaderboard – we received 4th overall and it was one of the fastest times in GFR history. In addition to this, our Skidpad time resulted in a fourth place as well. In Autocross, our drivers were able to put a 56.9 on the board, which resulted in another solid 4th place result at the end of the day. Early in the morning, the team climbed up to the stands and supported all teams. When it was finally our turn at 10:30am, temperature and excitement was peaking. Luckily, the GFR17e finished without any large issues and we received second place in the Endurance event. Later that day at the Award Ceremony, we were thrilled to receive the trophy for 2nd place Overall! This was the best result for the eCar since the formation of Global Formula Racing! Additionally, we received the Lamborghini Most Innovative Aerodynamic Concept Award, which we are very excited about as well. 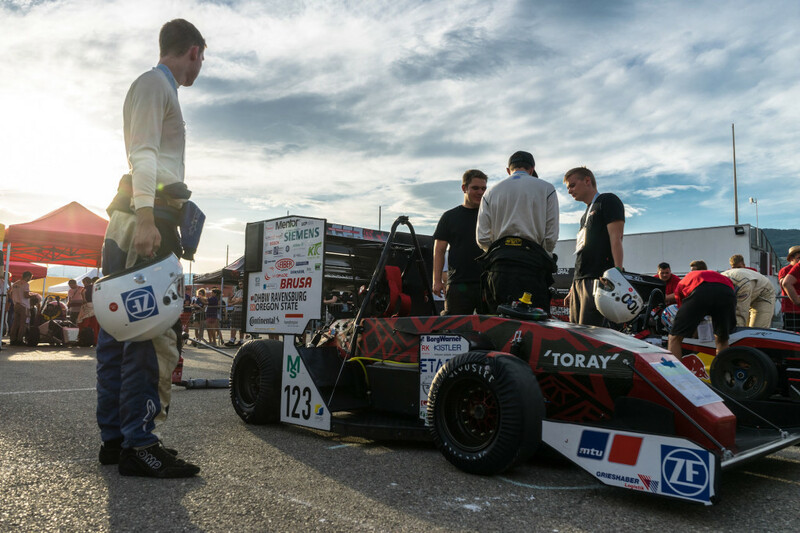 Formula SAE Italy was an amazing success and we hope to do it all again with the eCar in Spain at the end of the month. But before that, the combustion car will hit the track in Austria and Germany, which we cannot wait for! We would like to thank our sponsors and friends for their continuous help and support for this season! Without them, we would not be able to celebrate successful events like these. We look forward to some more exciting competitions and until then, we hope you have a great month of August.